KUZEYBORU held the first camp of the year on 7-13 January in Antalya. With the aim of evaluating and the succes of 2018 and determining the target of 2019.Bülent Karaman made the opening speech on behalf of the board of the managment of KUZEYBORU at the target meeting; ‘As Kuzeyboru, we are happy to realize our goals in 2018. We are happy to be Turkey’s and the worlds most’s prefered being firm and a company wich is growing and serving the country’s economy. In 2018 we added new product capacities to KUZEYBORU and produced more suitable solutions for customers demands. In the new year, we want to move our production network and customer potential further. I wish you a beautiful 2019 year and a good camp for the KUZEYBORU family full of successnes.’Sales marketing director Habib Özbek said in his speech; ‘We want 2019 to be a nice way for the whole KUZEYBORU family. As a whole team, we are aware that we are taking KUZEYBORU one step further every year. The international and domestic sales achieved Even the the crises in 2018 an increase of 78%. The figures shows us as a hardworking family and that we are the brand sought in this sector of our country and in the World. Especially the increase of HDPE and High Diameter Corrugated Pipe sale has also pleased us. In 2019, we are sure to raise our bar to a higher point and we will give the fastest and most accurate response to our customers’ demands for this’After the 2019 target meeting, which was held all day long, the teams that successfully fulfilled their targets in 2018 were awared by the Directors. After the award ceremony, KUZEYBORU family came together for a gala dinner and had a nice evening. 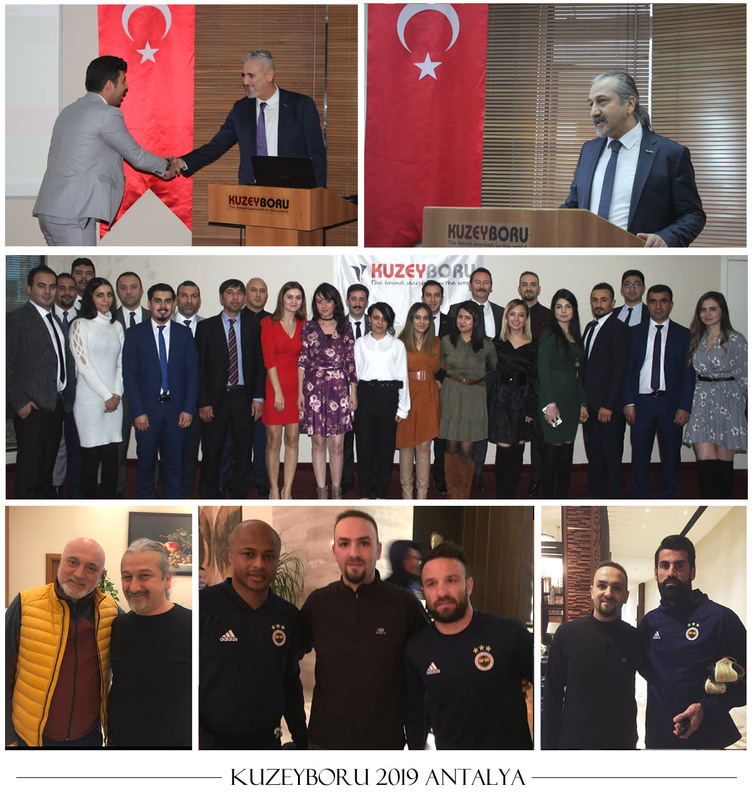 We do our target camp meeting with the Company employees and board of managment and crashed with Turkey football clubs Fenerbahçe and Kayserispor camp. This gave also a pleasure in the development of our team culture.